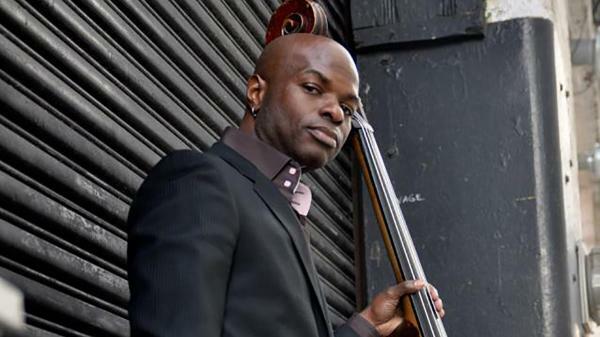 New York bassist Richie Goods is one of the most versatile and accomplished players on the scene today and the youngest person ever to be inducted into the Pittsburgh Jazz Hall of Fame. Known for his ability to “lay down the groove,” Goods infuses his music with funk and gospel influences. Goods came to prominence while touring and recording with the late Mulgrew Miller. He went on to make a name for himself with a variety of jazz and pop artists including Chris Botti, Sting, the Headhunters, Louis Hayes and the Cannonball Adderley Legacy Band, Lenny White, Milt Jackson, Whitney Houston and Christina Aguilera. His lengthy discography also includes Grammy Award-winning and platinum albums of Alicia Keys and Common. He has toured the globe, performing at the Monterey and Montreal Jazz Festivals, as well as festivals in Atlanta, Detroit and Jakarta.